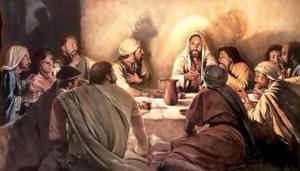 Ordinary Time is the encounter with the reality of Christ in our daily lives. It celebrates our response to his call to live the Christian life. Ordinary time helps foster our sense of identity as disciples of Christ. In our Parish, we gather as a community to celebrate Mass daily and on Sundays. We follow Christ’s teaching with attentiveness to the liturgical readings. We enrich our participation with a view to emphasising the individual message that Christ has given us. The Church sets out the calendar for ordinary time. This unites Christians in a journey with the universal church. The liturgical calendar in which we find the biblical references for the Sunday readings. A Sunday missal would be ideal but if one is not to hand then the bible contains the readings. To increase our understanding of the liturgical season and to help us live the message in our daily lives we should also prepare individually. A mid-week reading of the Gospel for the following Sunday enhances the ability to participate at mass, enriches the Community and helps us live the Gospel in our daily lives.